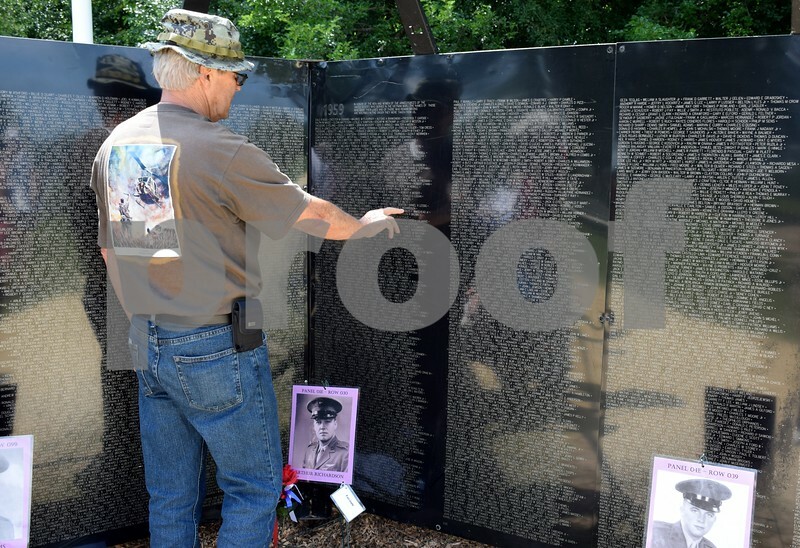 Guy Sparrow of Kirkland visited the Wall that Heals in Sycamore Community Park on Saturday, July 15, to locate the names of Vietnam War soldiers he knew that lost their lives during the war. In this photo, Sparrow located the name of Arthur “Bud” Richardson, a family friend and schoolmate. Richardson, a helicopter pilot, was the second soldier from Illinois to be killed during the Vietnam War.